Camden County Sheriff’s Office, deputies, firefighters and ambulance personnel responded about 7:00 a.m. Sunday April 30, 2017 to a unit at Camden on the Lake resort to a report of an unresponsive 19-year-old male. 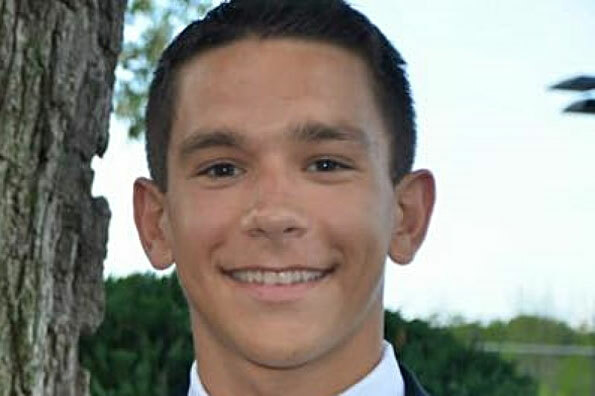 The 19-year-old college student from Arlington Heights died over the weekend while attending a fraternity event in Missouri, authorities said Monday. Kamil Jackowski, a freshman at the University of Iowa and a 2016 graduate of John Hersey High School, was found unresponsive shortly before 7 a.m. Sunday in a room at Camden on the Lake Resort in Lake of the Ozarks, Missouri, according to the Camden County Sheriff’s office. Rescuers were called by another guest staying in the same room, and CPR was performed at the scene, according to the Camden County Sheriff’s office. Jackowski was transported to Lake Regional Hospital in Osage Beach, Missouri, where he was pronounced dead. Determination of the cause of death is being investigated by an autopsy scheduled Monday afternoon May 1, 2017, and possibly toxicology reports, which will require additional time. The Camden County Sheriff’s office does not suspect foul play. While there has been no indication from officials regarding the cause of death, or whether the death was alcohol-related, Spring Formals at Lake of the Ozarks have a reputation of alcohol influence and heavy partying. The Missouri State Water Patrol is also on high alert for safety on the waterways in the area looking for probable cause to stop boats and make eventual “operating a boat while intoxicated” arrests. One of the agency’s officers led the nation in such boat operation arrests from 2000 to 2003. Jackowski was attending a Sigma Chi fraternity spring formal at the Missouri venue, and Monday afternoon fraternity and sorority leaders at the University of Iowa announced they are banning alcohol from all official events until further notice. The letter went on to say that the ban will remain in effect until solutions are found to make events safer. Kamil Jackowski was majoring in pro-business at Iowa, Dean of Students Lyn Redington said in a statement released to students Monday morning. 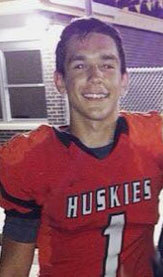 An online petition on care2petitions has been posted that calls for John Hersey High School to retire the number on Jackowski’s football jersey (Jersey #1). Jackowski played football at Hersey. He made the Daily Herald’s 2015 All-Area team for his work on both offense and defense. A GoFundMe page has been established to raise money to pay for his funeral. More than $39,100 had been raised by late Monday afternoon. The Iowa Chop House restaurant in Iowa City, where Kamil was an employee, tweeted a tribute on Monday and sent condolences to his family. Kamil Jackowski, John Hersey High School grad (Arlington Heights resident), star football player, University of Iowa student.